1. 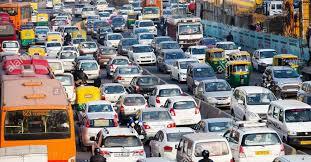 Can India take SAHI road to urban mobility? What should the future of mobility be for India? “Safe, Adequate, Holistic Infrastructure or SAHI.” That is the recommendation of a report presented to Prime Minister Narendra Modi at the Global Mobility Summit, Move, in New Delhi on Friday. ‘Transforming India’s Mobility: A Perspective’ prepared by the NITI Aayog and Boston Consulting Group (BCG) calls for efficient and convenient public transport to answer the twin problems of pollution and congestion. The report quickly attracted attention amid the rise in fuel prices. Mr. Modi elaborated on his ‘7Cs’ for the future of mobility — common, connected, convenient, congestion-free, charged, clean and cutting-edge. The number of motor vehicles in India has grown 40-fold in 44 years, from 1981 to 2015, the NITI Aayog-BCG report says. The reason: absence of a public transport system, leading to a rapid rise in private vehicle ownership. The four big metros in the country lose over $22 billion every year on congestion, it says. India on Friday said Iran has stuck to the agreed time frame in its plans to hand over the operational responsibility of a part of the Chabahar port to an Indian entity in October. The development came a day after official sources indicated that the U.S. would give a ‘carve-out’ to India’s investment in the project. “They have moved as per schedule so far and we hope the hand-over will happen as agreed,” said an official. Approving the land pooling policy on Friday, the Delhi Development Authority (DDA) said the Capital is set to get 17 lakh houses under the policy. In the authority’s meeting, chaired by Delhi Lieutenant-Governor Anil Baijal, it was also decided that over five lakh houses will be provided to the economically weaker section (EWS). The policy now awaits the nod from the Ministry of Housing and Urban Affairs (MoHUA). In the policy approved, the floor area ratio (FAR) has been restricted to 200. 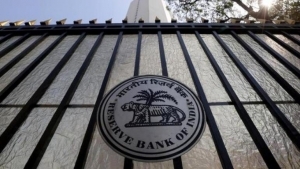 The Reserve Bank of India has imposed a penalty of ?1 crore each on Union Bank of India, Bank of India and Bank of Maharashtra for delay in detection and reporting of fraud in some accounts. 5. India must watch its side of the ledger while deepening defence ties with the U.S. The India-U.S. defence relationship has been given a significant boost with the three agreements signed on Thursday after the inaugural 2+2 Dialogue in Delhi: the Communications Compatibility and Security Agreement (COMCASA), “hotlines” between the Defence and Foreign Ministers of both countries, and the first tri-services military exercises between the two countries. 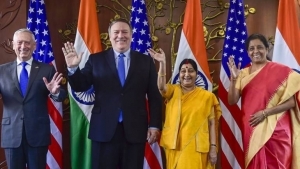 COMCASA is the third of four “foundational”, or enabling, agreements signed by India after more than a decade of negotiations, and is perceived as an inevitable consequence of the large amount of U.S. defence hardware it has been purchasing. This will increase, going forward, given the U.S. decision to include India in the top tier of countries entitled to Strategic Trade Authorisation (STA-1). Apart from the defence agreements, both sides said in a joint statement that they had discussed trade issues, cooperation on fighting terrorism, advancing “a free, open, and inclusive Indo-Pacific region” and promoting sustainable “debt-financing” in the region. The last two points are clearly aimed at Beijing’s role in the South China Sea and the Belt and Road Initiative projects, respectively. Get more G.K and Current Affairs information and crack all the competitive exams with The Tutors Academy. Prime Minister Narendra Modi launched the India Post Payments Bank (IPPB), a financial service provider that will operate under the country’s age-old postal department. The government-owned payments bank will be able to accept deposits of up to ?1 lakh from customers but without the rights to use these funds to advance risky loans at higher interest rates. It, however, plans to offer a variety of other financial services to people, including the holders of postal savings accounts that are worth over ?85,000 crore. The primary rationale behind the public payments bank idea is to help in the government’s goal of achieving financial inclusion by providing savings, remittance, and payments services to the rural and unorganised sectors of the economy. It is also hoped that the payments bank idea will help reinvigorate the postal system, which has a wide network of branches across India. All the 155,000 post offices in the country are expected to be linked to the IPPB system as early as in December this year. The payments bank will also have a digital platform that is expected to make financial services more accessible even from remote locations. Senior IPS officer Dilbag Singh took over as the new Director General of Jammu and Kashmir Police on Friday after his predecessor S.P. Vaid was shunted out and posted as Transport Commissioner on Thursday night. Mr. Singh continues to hold the charge of Director General (Prisons). The foundational agreement Communications Compatibility and Security Agreement (COMCASA) which India concluded with the U.S. at the 2+2 dialogue will enable Indian military to get a better picture of the Indian Ocean Region (IOR) which is seeing increasing Chinese movements, officials said. “With CISMOA [COMCASA is an India-specific version of CISMOA], Indian armed forces will get to fully exploit the capability of the military platforms procured from the US. For instance, the P-8I reconnaissance aircraft of the Navy which have emerged as a major force multiplier are currently operating at limited capacity,” a defence official said. As a consequence of CISMOA, India will get access to Combined Enterprise Regional Information Exchange System, or CENTRIXS, which is the secure communication system network of the US. Even within the system there are also specific codes/keys which have to be verified by both sides to enable communication or access information, the officer said. Officials brushed aside these fears as specific measures have been incorporated in the agreement to “have full access to the relevant equipment and there will be no disruptions”. “Data acquired through such systems cannot be disclosed or transferred to any person or entity without India’s consent,” another official said, adding this is an enabling instrument and does not commit India to acquiring U.S. platforms. So far in joint exercises, Indian Navy used to temporarily plug in portable CENTRIXS systems to communicate with U.S. assets. Get more G.K and Current Affairs to crack the competitive exams with us. Sikkim is all set to be added to the aviation map with the launch of SpiceJet’s daily flights from Kolkata (from October 4) and Guwahati (from October 16) to Pakyong under the government’s regional connectivity scheme, UDAN (Ude Desh Ka Aam Nagrik). The Finance Ministry has shortlisted about a dozen companies, including Coal India, NTPC, Nalco and NMDC, for a possible buyback of shares in the ongoing financial year. The other companies which are in the list include NLC, BHEL, NHPC, NBCC, SJVN, KIOCL and Hindustan Aeronautics, officials said. Earlier this week, the Department of Investment and Public Asset Management (DIPAM) discussed the buyback option with these companies, following which the list has been drafted. (G.K and Current Affairs) The Hindu. The RBI on Friday tweaked norms for exchange of mutilated notes following the introduction of 2,000, 200 and other lower denomination currencies. Public can exchange mutilated or defective notes at RBI offices and designated bank branches across the country for either full or half value, depending upon the condition of the currency. Making amendments to the Reserve Bank of India (Note Refund) Rules, 2009, the central bank said this has been done to enable the public to exchange mutilated notes in Mahatma Gandhi (New) series, which are smaller compared to the earlier series. The Indian juniors continued to hold attention as Hriday Hazarika crowned himself as the World junior champion in air rifle, while Elavenil Valarivan missed the junior women’s gold by 0.7 point in the 52nd World Shooting Championship in Changwon, Korea, on Friday. With Shreya Agrawal following Elavenil to the bronze medal and winning the team gold along with Elavenil and Manini Kaushik with a junior World record 1880.7, the Indian tally went up to six gold, seven silver and five bronze medals. Hriday tied for the gold on 250.1 and won the shoot-off 10.3 to 10.2 against Amir Mohammad Nekounam of Iran. 13. IAAF Continental Cup begins in Ostrava, the Czech Republic, on Sept 8, 2018. The javelin field includes Germany’s world’s top two throwers, the recent Diamond League finals winner Andreas Hoffman and the Olympic champion Thomas Rohler, and on current form, Neeraj appears to be the third best man in the fray. Hima Das, the Asiad 400m silver medallist, has been pulled out of the event by the Athletics Federation of India to give the junior world champion some rest. Other Indian participants: Arpinder Singh (triple jump), Jinson Johnson (800m), Muhammed Anas (400m), Sudha Singh (3000m steeplechase) and P.U. Chitra (1500m). Afshan Fatima claimed her maiden title as a professional, edging out Amandeep Drall on the second play-off hole in the 13th leg of the Hero Women’s Pro Golf Tour on Friday. Afshan was six-over 150 after 36 holes, while Amandeep , the only player to have won three times this season, was two-over through two rounds. Afshan carded one-under 71 as Amandeep went to three-over 75, which meant both players were tied 5-over 221. Burt Reynolds, the moustachioed heart-throb of 1970s cinema who won acclaim in Deliverance and a host of awards later in his career for Boogie Nights, died on Thursday. It was his role in the 1972 thriller Deliverance in which he plays macho survivalist Lewis Medlock, that cemented his status as one of Hollywood’s leading men in the 1970s and 80s. Meaning – Extreme scarcity of food.